Your transaction has been successfully processed. Enjoy! Oh no! there was issue with your payment. Please check the payment detail and try again. Oops! Not again. You can only avail this offer for once!. Purchase 20 tokens for $20. Would you like to purchase more ? Purchase 1 token for $2. 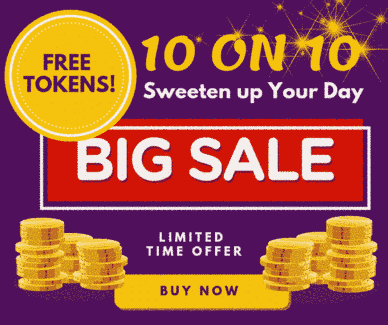 Purchase 5 tokens for $10. Purchase 25 tokens for $40. Purchase 65 tokens for $100. Purchase 135 tokens for $200.